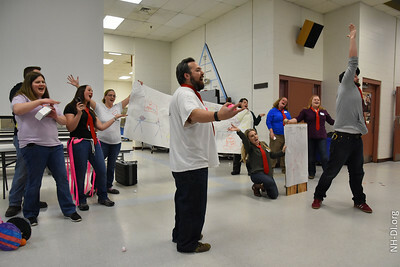 It’s one of the most visible and fun parts of our program: Being amazed at Regional and State Destination Imagination competition. 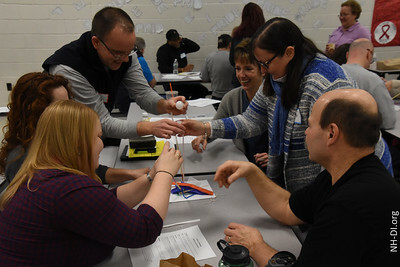 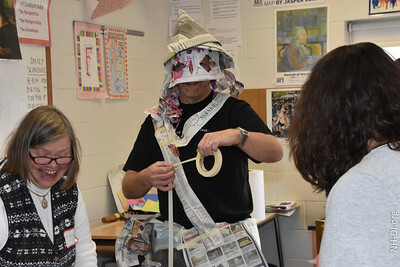 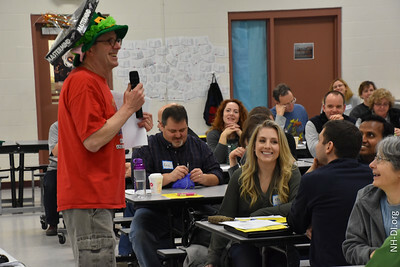 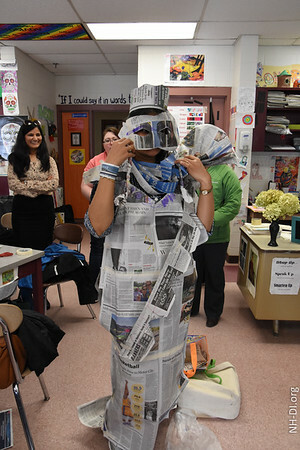 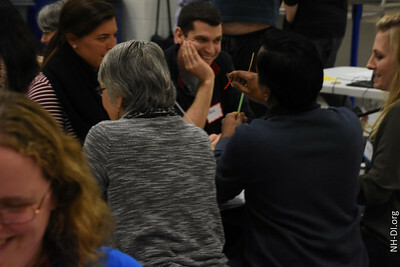 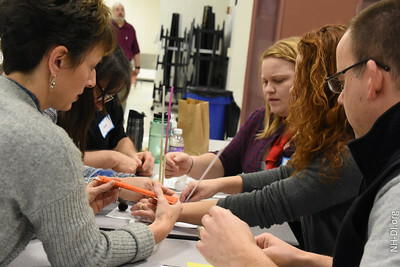 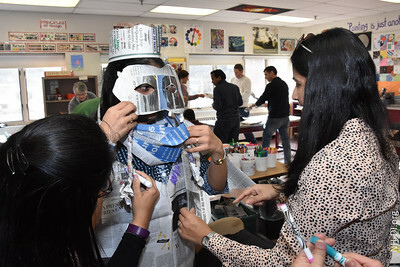 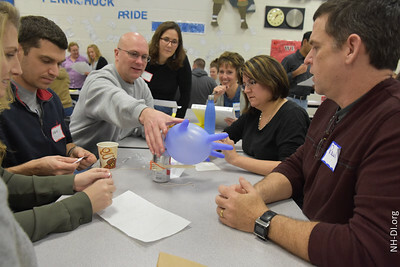 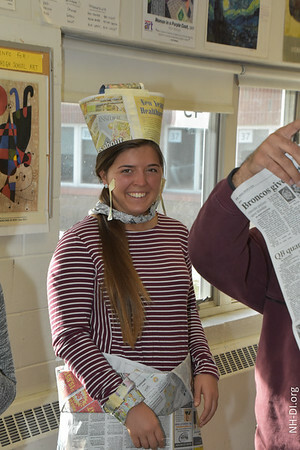 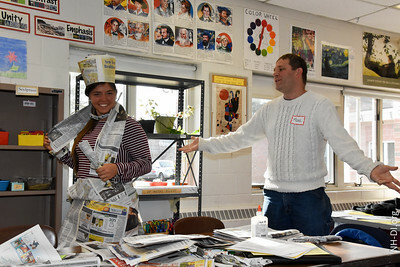 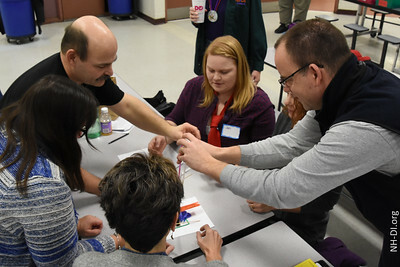 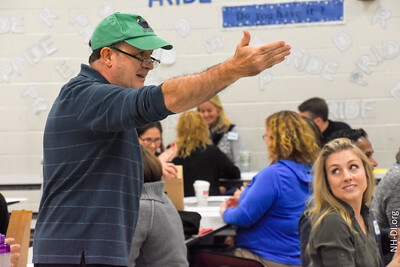 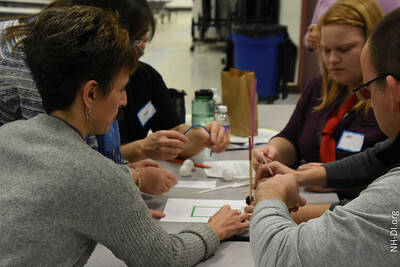 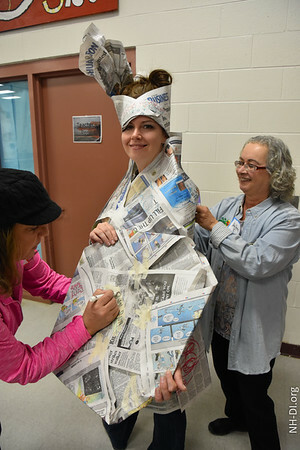 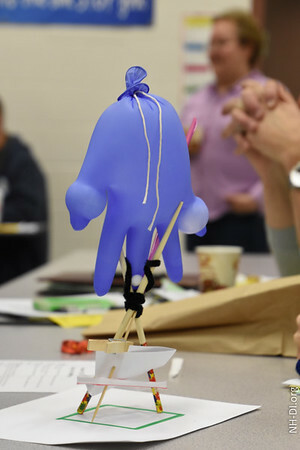 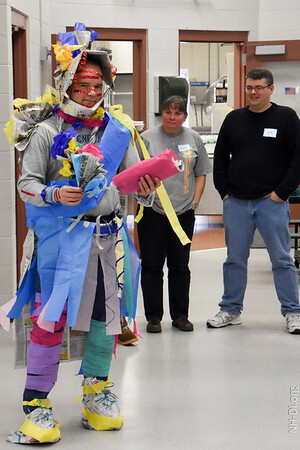 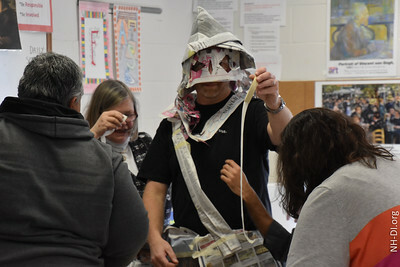 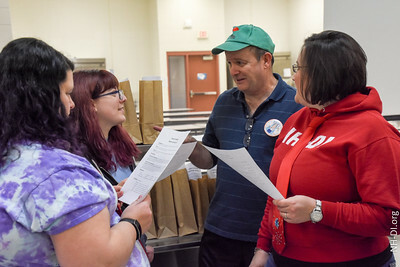 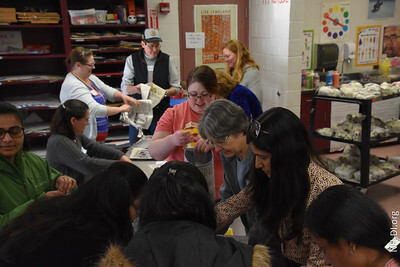 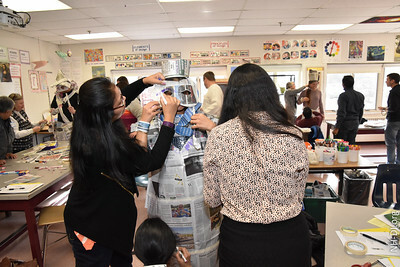 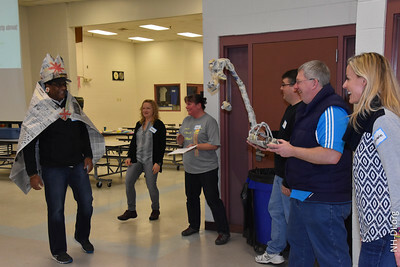 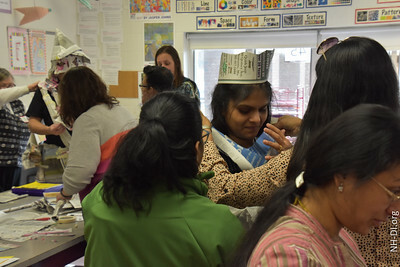 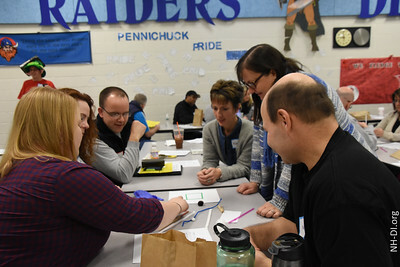 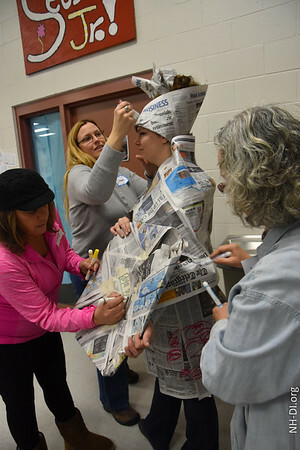 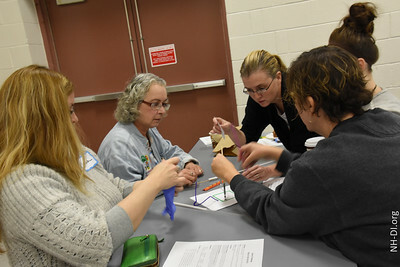 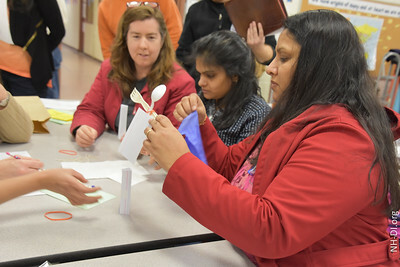 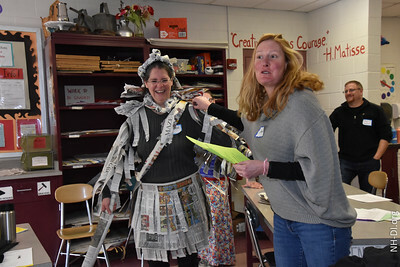 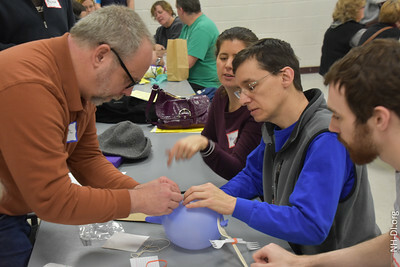 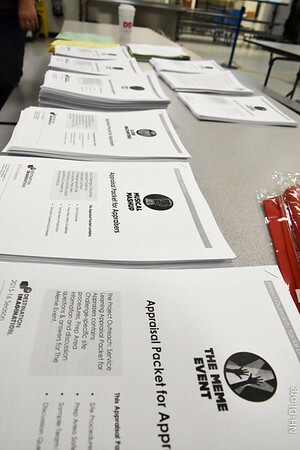 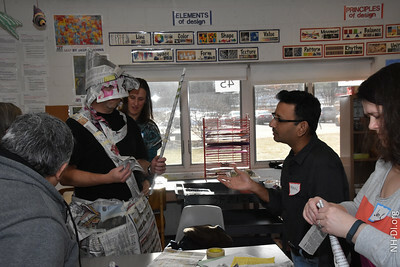 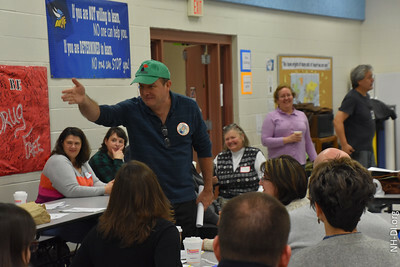 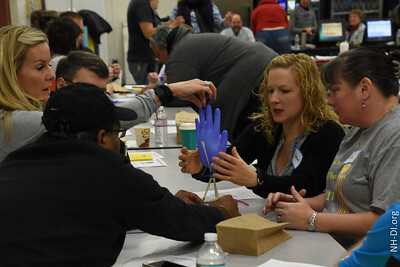 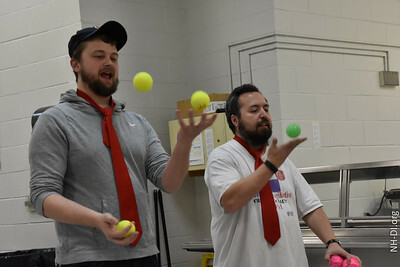 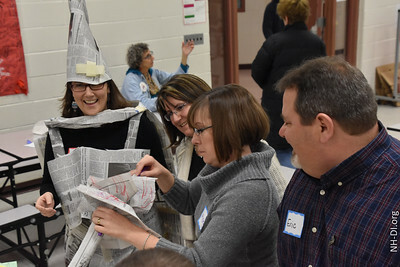 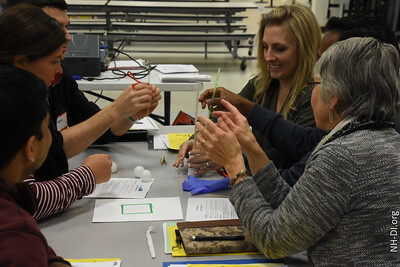 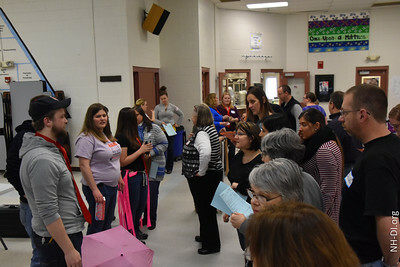 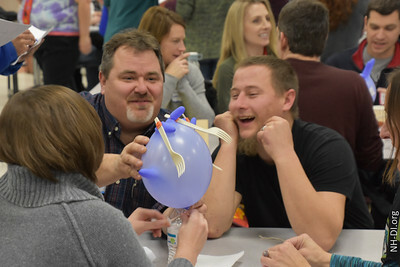 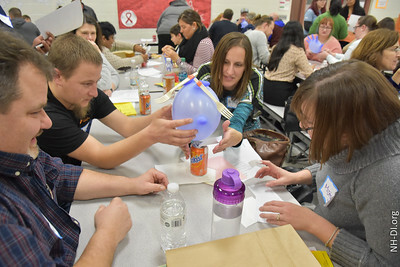 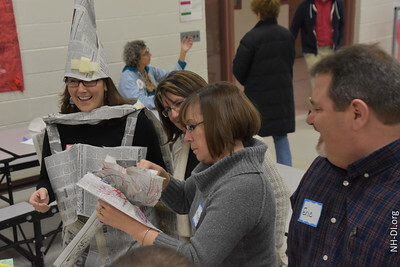 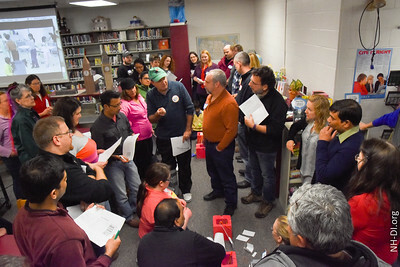 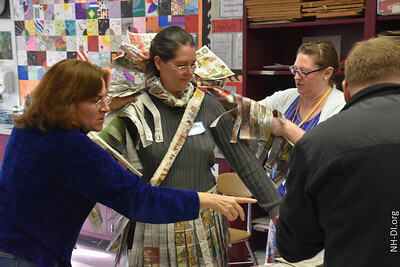 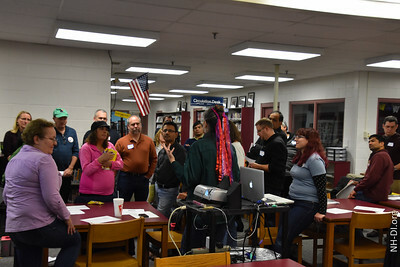 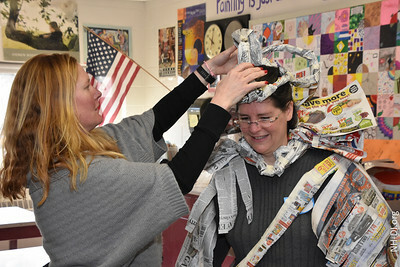 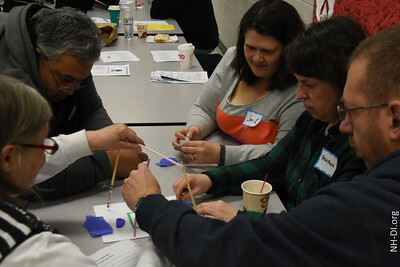 Saturday, 200 volunteers were trained to appraise arts and STEM-based solutions using creativity, collaboration, communication skills at Pennichuck Middle School in Nashua. 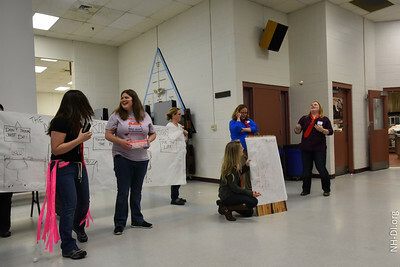 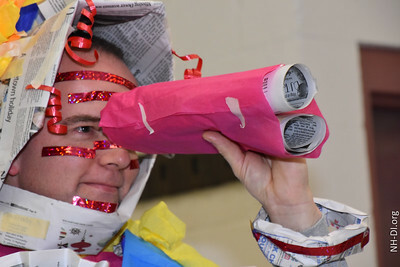 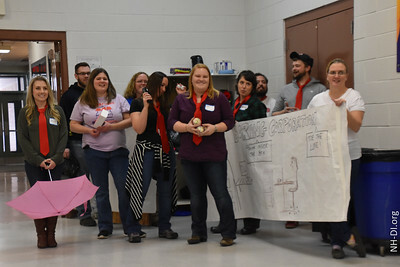 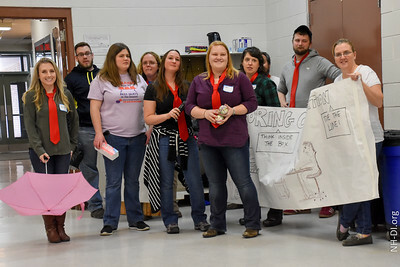 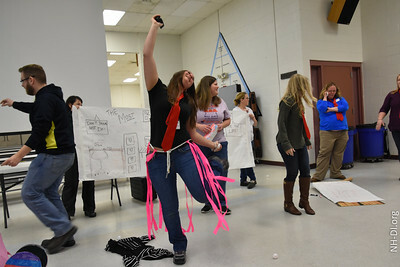 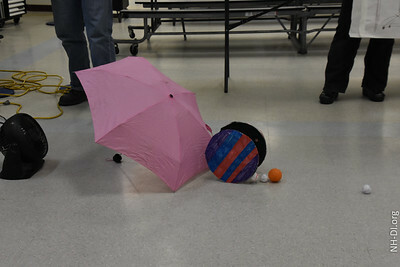 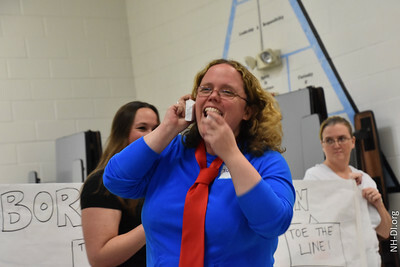 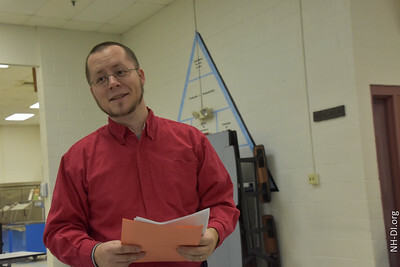 They will be Appraisers at the New Hampshire Destination Imagination academic tournaments that will be held around the state, starting in March. 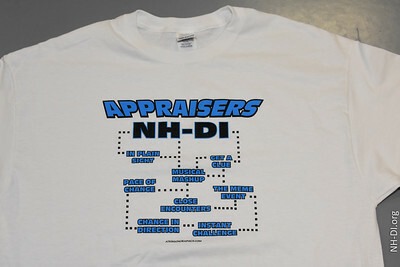 We took a number of NH-DI Alumni, who were on teams and are now Appraisers, gave them a Team Challenge and two hours. 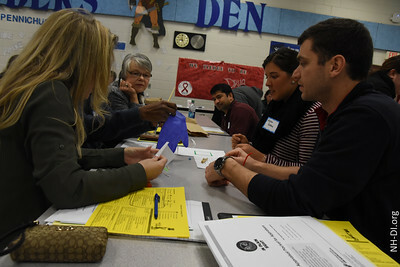 New Appraisers got to Appraise their solution. 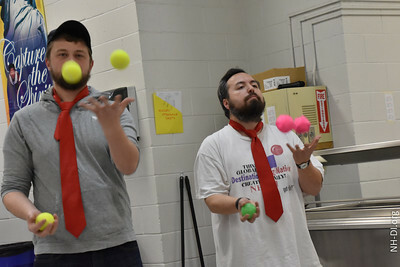 (Not a Challenge being done by other teams). 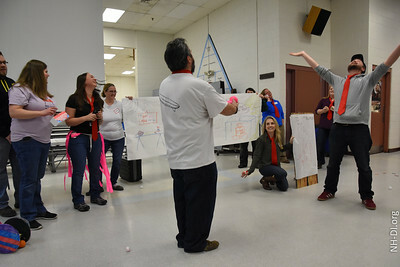 As with any Team Challenge, team members get to answer questions of Appraisers.